There is a lot of change going on in the city of Pittsburgh, but consider what was underway 60 years ago. 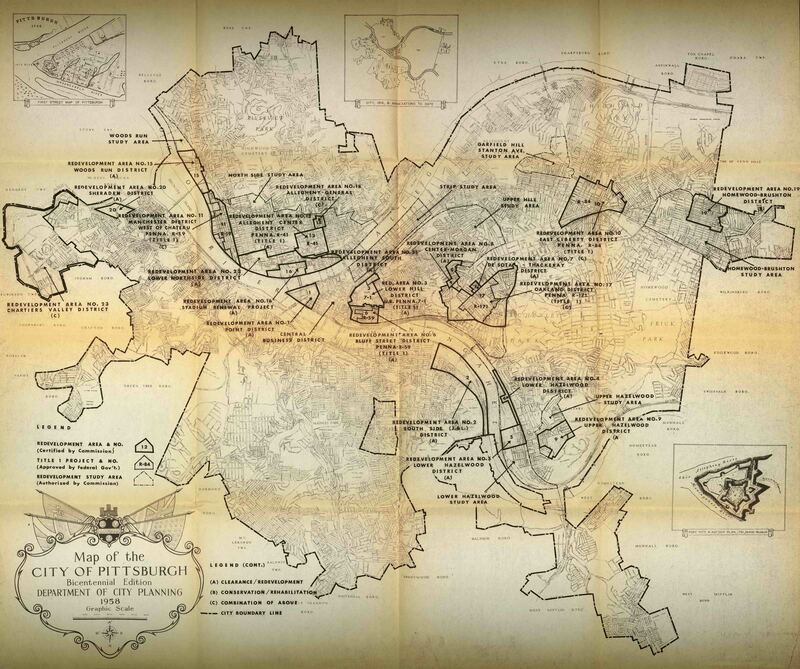 Below is the Bicentennial Edition (1958) of a map produced by the City of Pittsburgh's Department of City Planning showing all the various projects they were working on at the time. Just some of the projects then underway or being planned included the creation of Point State Park, the clearing of the Lower Hill District neighborhood to make way for the future Civic Arena, redevelopment of East Liberty centered on a pedestrian-only mall, and redevelopment efforts on the North Side that would lead to the creation of the Allegheny Center Mall.